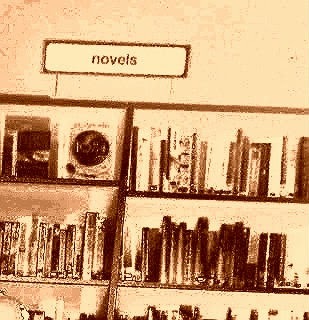 neetswriter: When did you last go to the library? I went to two libraries last week-Horsley Library on Wednesday for Judith Kinghorn's talk and Guildford Library on Saturday. My library card didn't work as I haven't used it for a while. The librarian reactivated my card and gave me a pin number so I can use the Surrey online library. • search the catalogue for all Surrey libraries, reserve books and request a book to be moved from one library to another so I can collect it there. On Saturday I found some art books to use as research for Book 2, 'The Painting'. Instead of handing them to a librarian like the old days, I had to scan my card, then the book and a machine produced a receipt with the 'return by' date on. The books I borrowed on Saturday were worth around £80, so half an hour at Guildford Library was a great use of my time. How often do you go to the library? Do you borrow books for research? Do you ever write in the library? I visit my library every week for books, DVD's or just to spend some time sitting and reading. I am lucky enough to live across the road from my library too. I have a six year old daughter and often we go there and I sit and read to her. I've never written in the library, tend to favour the local coffee shop for caffeine and cake reasons. :) Though I have used it for research. The people that work there are lovely though it is soon to be run by volunteers within the community. There was talk of it closing and I really hope that does not happen. I live in a tiny market town and the library not only provides a fabulous resource but also a place where you always stop and have a chat with someone and talk about what is happening in the town along with sharing book recommendations. Library's are wonderful places and I encourage everyone to use theirs. Use it or lose it I say. Hi Faye, thanks so much for visiting my blog and commenting! Libraries are great for children-I took my daughter too on Saturday. I've tried writing in libraries, but they're not as quiet as they used to be. Librarians don't tend to say 'shhh' anymore when people talk! I hope libraries manage to survive. I was impressed by the list of author events taking place at Surrey libraries and wonder if events like this will help keep libraries going. Hi Carol, thanks for reading and for your comment. I think I stopped going to my local library when I couldn't find the books I needed for research for book 1. Now I have the option to request a book from all libraries in Surrey, it makes a difference. Thanks for your comment Kelly. I'll keep it under my hat. I love my local library SO much. I go there very often--conveniently I live in walking distance which is fab! I also sometimes go to the much bigger library in the city centre. There are many more books so it's heaven, but also they have a quiet study area on the second floor and I love writing there. It's literally right on the seafront and the windows are massive, so the view is amazing whatever the weather. Thanks for your comment Stacey. How lovely to write with a view like that! Your post has reminded me that I need to suss out my new nearest library now that I've moved house.I don't use libraries as much as I used to but that doesn't mean I value them less. They are such a precious resource that we need to fight to save the services in our communities. I worked in a library as a student and know how important their role is for all ages and backgrounds. Yes, yes and yes, I go to the library often, every 3 weeks with the kids and whenever I can on my own and yes, I definitely go there to write and to disappear. Love it! Couldn't live without my library which is also a repository for cult/festival winning movies, music, newspapers, magazines, journals, exhibitions, it even has a little cinema which has a monthly festival, they've just finished a retrospective of all Martin Scorcese's films. I even posted a picture of it in a blog post recently and you are making me think I could almost write a whole post about why I love it so much! Your library sounds amazing Claire! I'd love to read a blog post about it. Thanks for your comment. Hi Robin, thanks so much for visiting my blog and for posting a comment. I've tried working in the library, but there was too much chatting and mobile phone beeping so I gave up! Some do have special rooms though-there's a lovely library in Richmond, Surrey with oak pannelling and everyone is told to be quiet. I think libraries are wonderful places! I joined another recently - a reference rather than a lending library and there are so many things that you can't take into the reading rooms to avoid damage to the items.I think it's great that they treat the books with such respect. Hi Elle, thanks for your comment! I keep meaning to find a good reference library in London where I can sit and work on Saturdays-must get round to it. I love the local library. One of the best things about moving to England has been being able to go to the library which I missed so much when we were living in Italy. We did go to the library there, and it did enable me to read some books in Italian, but not being mother tongue Italian, I preferred to buy books from Amazon and have them shipped to Italy. The last time I went to the library was last Thursday and I have a mixture of non fiction and fiction books borrowed at the moment. Hi Cathy, thanks for your comment. Wow, haven't read a novel in Italian for a while-can't believe I used to. One of my favourites was Stefano Benni-il bar sotto il mare (the bar under the sea, filled with lots of different characters who each told a story-such a clever idea). I expect it's a treat to be able to get your hands on loads of books in the English language now. I've always been a lbrary fan (and worked in quite a few!) I think with the advent of e-books and all things internet they are facing some problems, but hopefully will continue to provide a focal point for reading, learning and getting together in a world where it's easy for individuals to become isolated in front of a screen. Hi Ali, thanks for your comment. I know so many writers who have worked/work in libraries-a good place to be if a fan of books I expect. The internet is changing everything,but I think it's great that I can renew my books and reserve them online now. I guess big reference books like the art ones I borrowed on Saturday will always stay-as they just wouldn't be the same in an e-book version. Hi Jan, thanks for your lovely comment. Yes, they are quite calming places. It's been way too long since I've been to the library. It's been so long it's actually moved to a new bigger and shinier building in that time. I went to the little library near me last week to use their photocopier but that doesn't really count. I fought for the library to get a new bigger building but never went. Hi, thanks for visiting. How amazing that you fought for the bigger library and it happened-hope you get down there soon. Anyway, it's somewhat fab, and recently I've actually started writing there rather than at home when I'm doing a first draft. There's something about being in a public place that forces me to crack on rather than piffle my life away online. And if I get stuck all the lovely research books are just right there to hand. So yay libraries! I wish, Anita! I used to live in the library in the days before the Internet (and collecting a huge number of my own ref books through studies). Now I live in a small village without one and would have to go to one of two towns. When we eventually move, I'm hoping to find a friendly one again. I'm living abroad at the moment, but when I was in London I was a regular library visitor. I think it's so sad that a lot of them are suffering from funding crises. They play such an important role. Hi Andrew, thanks for visiting my blog and for your comment. Just found you on Twitter. I spent a great deal of my childhood at the library, my Mum drove us there at least once a fortnight. My local village school was also visited by a library bus! I remember the silence of the town library and the very small children’s corner with those stackable round red plastic chairs – do you remember those?! My Mum would actually leave us there while she went to the shops! Imagine that today?! Sadly I don’t really visit a library now, but strangely was thinking the other day that S was going through his books so quickly that he really needs a library card... you’ve motivated me to make that happen. Thank you! I go through phases with the local town library. I average about once a week usually, but the library has just shut down for a major revamp, and we have to keep hold of our books now until December! I mainly go for research, and non fiction books, as I prefer to read fiction via the Kindle. Years ago I would borrow music and DVD'S but don't these days as I have an iPod, and I don't have any time to watch a film nowadays. Writing wise, I prefer to go into the city and use a bigger library. I haven't had a lot of success writing in the library, although I was once a member of a writers group who met in the town library. Hi Maria, thanks for your comment. I tend to borrow non-fiction rather than fiction too.